E-commerce: – E-commerce refers to a wide range of online business activities for products and services. It also pertains to any form of business transaction in which the parties interact electronically rather than by physical exchanges or direct physical contact. E-commerce is the use of electronic communications and digital information processing technology in business transactions to create, transform and redefine relationship for value creation between or among organizations, and individuals. By any standard, e-commerce is economical. Unlike the brick-and-mortar (traditional) environment, there is no rental of physical store space, insurance or infrastructure investment. The internet can be accessed by anyone by anyone at any time and from anywhere in the world. Thus, the market reach of a company goes beyond its geographic location and time horizon to transact business with customers from all over the world. Electronic marketplaces improve information sharing between merchants and customers and promote quick deliveries. Customers and merchants save money, experience no traffic jams, and do not have to carry heavy shopping bags. E­-commerce enables both business houses and customers to engage in business contracts 24 x 7. This opportunity has increased real-time business operation and customer connectivity to business. Business organizations evaluate the cost-effectiveness of every product before making any investment on that. E-commerce helps in lowering the various costs that contribute to the total cost, procurement cost, purchasing cost, selling and marketing cost. E-commerce means better and quicker customer service. Web-based customer service makes customers happy. Customers have direct access to their accounts over the internet. The overnight package delivery services, tracking of the package online are the other examples of better customer service. Using e-commerce, the business organizations can directly approach the customers and suppliers, cutting down the intermediaries, a number of levels in the process as well as the cost. Thus, e-commerce facilitates businesses to operate under a disintermediated environment by providing direct communication between customers and business organization. The value chain in e-commerce consisting of suppliers, contractors, and regulatory agencies is fed by an integrated trade partnership. Developing an electronic community improves the competitive position of business through low pricing, reduced inventory-carrying cost and broader availability of materials. E-commerce facilitates the dissemination of information to wipe off any information related to customer behavior, inventory management, brand preference, repeat purchase trends helps organizations in developing strategies to survive and grow. By providing customized products and services to customers and fulfilling several other demands, e-commerce can help in building a strong customer relationship that helps in retaining customers for a long period. Thus, e-commerce help in building a base of loyal customers by improving customer relations. Digital products are highly customizable. They are easy to reorganize, revise, or edit. With information about consumer tastes and preferences, products can be differentiated and customized to match individual needs. It is relatively cheaper to acquire new customers with the help of e-commerce. 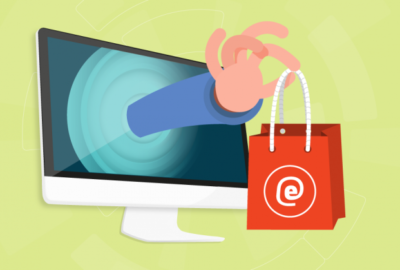 Though e-commerce, it is also possible to retain customer loyalty with minimal investments. E-commerce provides an effective and less expensive way to extend your enterprise. 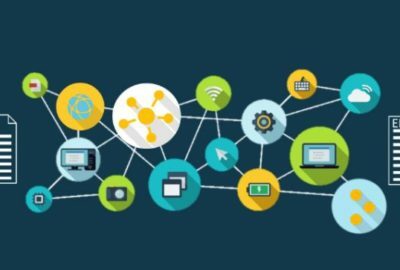 Tools like Enterprise Resource Planning (ERP), Supply Chain Management (SCM) and Customer Relationship Management (CRM) can easily be deployed over the internet. It provides improved efficiency in the time needed to market, customer loyalty, on-time delivery and increases the profits as well. Often, there are various hidden costs associated with the products. For example online purchases are often accompanied by high shipping and re-stocking fees. 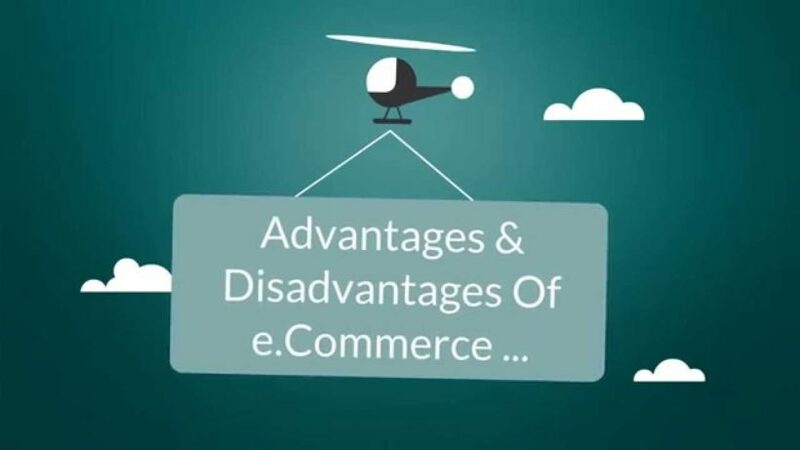 There are many e-commerce companies that overcharge the customers for shipping and handling.
. Equipment failure in the network connection provider or ISP.
. Accidental problems caused by nature such as floods, earthquakes that affect the communication line. Security of transactions on the internet is a major concern in e-commerce. Payment, by credit card, requires faith in the system security. Customers are worried about giving their credit card details to vendors because of the security issues prevalent in the e-commerce. 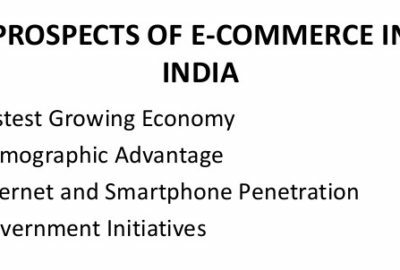 Implementation of e-commerce requires technological base as well as skilled human resources. Thus, the transposition of the traditional system of commerce to e-commerce is difficult. Data protection and integrity of a system that handles the data are serious concerns. Computer viruses cause unnecessary delays, file backups, storage problems etc. There is a danger of hackers accessing the files and corrupting online accounts of the organization. The website of vendors should have the capability of being scaled up quickly when the number of users suddenly increases. If the server’s capability is limited, the response time of the website will be unacceptably high if a large number of customers decide to use the sits. Online businesses expose their product details, catalogs, piece lists and other information about the business on their websites. This makes it vulnerable to access by the competition. Shipping delays, merchandise mix-ups and website crashing are the problems often encountered in e-commerce. Customer confidence in e-commerce’s ability to deliver during heavy shopping seasons continues to be a concern. Customer relationship management should be a higher priority in order to gain customer loyalty. If there is a sudden increase in orders, there may be logistical problems in physically items to customers. Long delays in receiving ordered goods will adversely affect future sales. Duplication in much simpler in e-commerce as compared to traditional businesses as it is easy to quickly build a website and start a competitive business. Thus, to maintain the advantage of being the first with the idea requires innovation and improvement.